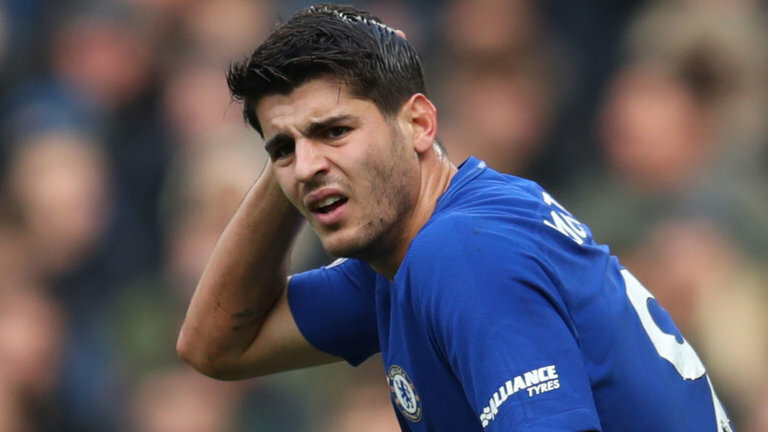 According to report, Chelsea manager Antonio Conte sends warning to Alvaro Morata that he will have to improve on himself to step up his goal-scoring prowess. Alvaro Morata who joined Chelsea last summer has been working hard to regain full fitness after sustaining a back injury while playing for Chelsea. Chelsea paid Real Madrid a whopping £70 million to secure his signing during last year transfer window in 2017 and his impact was immediate. Buoyed by regular football following a frustrating season at Real Madrid, Morata opened his campaign by scoring 7 goals in just 8 matches for Chelsea in all competition. And Antonio Conte insists that Alvaro Morata must continue to work very hard if he wants to succeed by the end of the season. The talented player will start against Manchester City without scoring in his previous 10 matches. Chelsea are in the fifth position in the Premier League, they hope to finish at the top-four position before the end of the season.